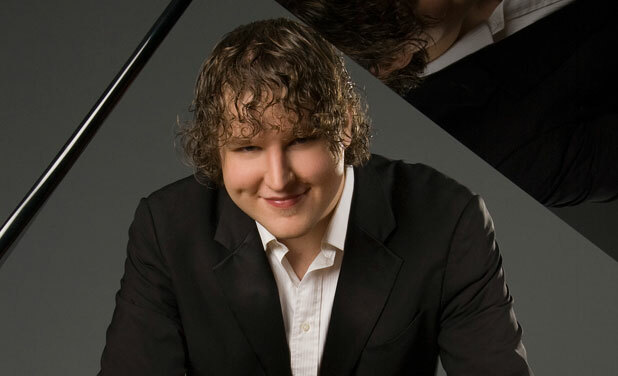 Lukas Vondracek stepped in to replace the injured Behzod Abduraimov in Sunday's Chopin Society recital. Photo by Susan Wilson. When Mary Sigmond of the Chopin Society got word this week that her featured pianist, Behzod Abduraimov, had injured a hand in a fall, she had to scramble. Abduraimov was skedded to play Sunday, November 11 at Macalester College in a program of Liszt, Schubert and Beethoven. On Wednesday, Sigmond was informed the prize-winning young musician had to cancel his recital. She quickly enlisted another young player, Czech pianist Lukáš Vondráček, as a replacement. His recital will include music of Haydn, Rachmaninoff (Corelli Variations and Etude-Tableaux, Op 33), a selection of Grieg Lyric Pieces, and Prokofiev's Sonata No. 7. Vondrácek is studying at Boston's New England Conservatory, but already he has been performing concerts for 10 years. He has released one solo CD, featuring music of Mendelssohn, Liszt, Janáček and Dohnányi, on the Octavia label. The concert on Sunday starts at 3 p.m. at the new Mairs hall in Janet Wallace Fine Arts Center.$20-$23, 612-822-0123. Below, Vondracek in action at the 2009 Van Cliburn International Piano Competition.